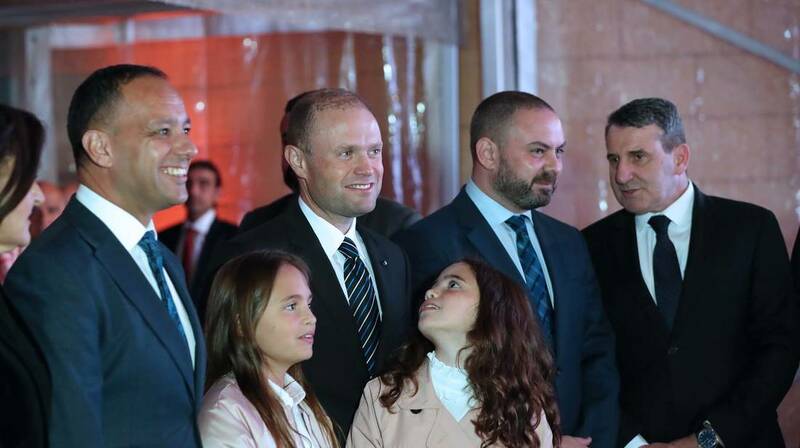 Valletta 2018 Chairman Jason Micallef, Prime Minister Joseph Muscat and Minister for Justice, Culture and Local Government Owen Bonnici inaugurate MUŻA, Malta’s new museum of art at the Auberge d’Italie, Merchants Street, Valletta. The new national museum of art in Malta, a flagship project for Valletta 2018 – European Capital of Culture and is pioneered by Heritage Malta, was launched this evening. The chosen name, MUŻA, whilst being an acronym and the Maltese word for inspiration, is also a clear reference to the muses – the mythological creatures from classic antiquity inspiring creativity. The project seeks to make art accessible to all, relocating art and creativity from a priceless commodity to a resource of relevance to the community.